Brady Standard Lanyard - Clear 5/8" Vinyl Translucent Breakaway Lanyard with "Twist Free" Wide Plastic Hook. 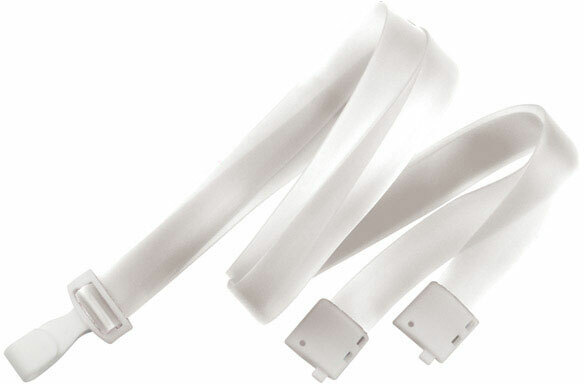 Vinyl Lanyard is Perfect for Hospitals, Clinics and Pharmaceutical Research Because it can be Easily Wiped Clean. Quantity of 100. The Brady VL-34S-CLR is also known as Brady People ID	VL-34S-CLR	or VL34SCLR	.